It came earlier and earlier in the month, my Indonesian’s maid’s request for her advance in pay. She had gratefully received her first full pay when she was entitled to it, after she had worked six months with no pay, to pay her loan which I had advance paid to her employment agent. No money had been remitted home for the first whole six months and I presumed that her taxi driver husband had worked to sustain himself and their son. That first paid month she remitted all her earnings home and was so pleased she could send the money home as I paid all her living expenses in Singapore. Great! and I was happy for her. The next month, she asked for an advance of her month’s pay at mid month. She remitted all of it home. Hmm!! I made a note and gave in to her request. At the end of that month, she asked for the advance of her next full month[‘s pay and remitted it all home. Then in the second month she asked within one week of the beginning of the month, for her month’s pay due at the end of the next month after tearfully speaking to her husband in Indonesia on the phone. I knew the black mail from home had begun. He would not work but expected his wife to send him money. I knew if she continued, she would have nothing to bring home after her contract ends. “No” I sadly said. “No more advances.” I felt so heartless but had prayed about it. “You shall be paid when your pay is due and please tell your husband that and tell him that you would only send half your pay home next month” She was shocked but I had to be firm to be kind. I knew that her husband had stopped working expecting to receive her full salary every month. No I had to help my maid save so that she may return home with some savings at the end of the one plus year left of the contract. Today at the end of her first year of service she has some savings to talk about and is happy that at the end of her contract she thinks she will be able to buy a second hand computer for her son when she returns home. Sometimes I think it pains the heart of our Father in heaven to have to say “No” to some of our requests asked in Jesus’ Name. He knows more than we know, that a “Yes” would spoil us spiritually. If we submit to His will and not murmur, we will be all the better for it. Yes the end will be better than the beginning – for sure. All things work together for good to them who love Him. 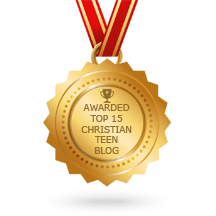 This entry was posted in A CLICK A BLESSING TODAY, CHRISTIAN LIFE AND THE WORD and tagged all things work together for good, negative answer to prayer, tough love. Bookmark the permalink. 2 Responses to CLICK A BLESSING TODAY – Tough love! Sometimes saying NO is for our own good, and though it may hurt at the time, we will reap the benefits in the long run. Yet No is not in todays culture. We expect to get all we asked for, and to our shame we are teaching the same thing to our children. Praise God he is a wise and Just parent. Thank you for dropping by. It is said that if there is no pain there is no gain. Thank God He is our loving Father and will allow pain only when we need it for our good. That includes saying NO at the appropriate level and time. It is allowed in discipline which motivates toward good and not punishment which demotivates and drives the recipient towards evil.